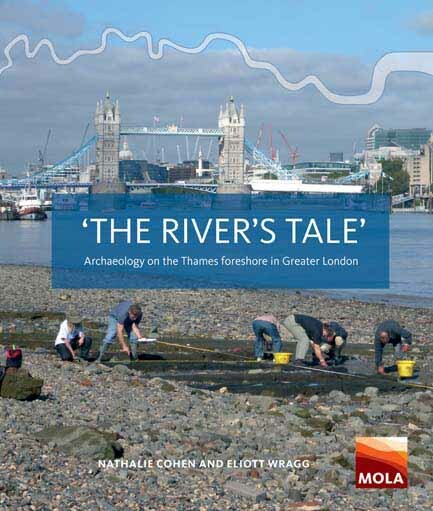 Join the Thames Discovery Programme for a guided foreshore walk at Trig Lane and discover the archaeology of the waterfront from its Roman origins to the Victorian period as you explore the foreshore at the heart of the City! This walk is part of the Totally Thames festival, an annual celebration of the River Thames. Thanks to funding from City Bridge Trust, this event is free for Londoners aged over 75. Please meet at the Trig Lane Stairs at 9.00am. Please note that the foreshore surface can be muddy and unstable, so sturdy footwear (boots or wellies) is recommended. In case of inclement weather, the walk may be postponed or cancelled - please contact the TDP team. Some surface-only artefact handling may be permitted, but all finds must be examined by the archaeologist on site, and significant artefacts must be recorded with the Portable Antiquities Scheme. Please be aware that if you wish to regularly search the foreshore for artefacts at other times you must be in possession of a Permit to Search the Foreshore, issued by the Port of London Authority. Booking in advance is strongly recommended, and can be done via Eventbrite.